Parking problems have been alleviated in Telford town centre as the new Southwater multi-storey car park, which offers 300 vehicle spaces, has now opened. Bourne Parking (part of the Bourne Group) was responsible for the design and construction of the car park, which has been built adjacent to the town’s International Centre and ice rink. 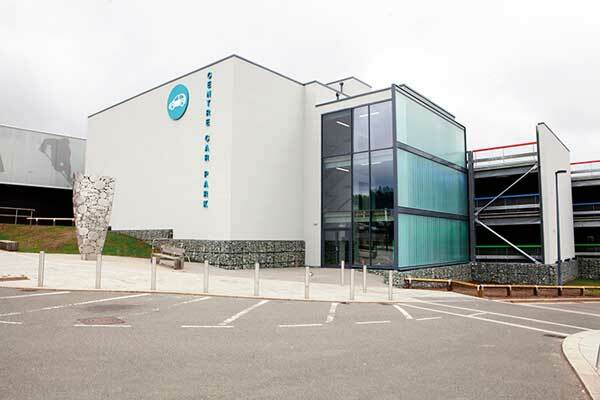 A spokesperson for the Southwater Event Group, which owns the centre and the car park, said: “The International Centre, Telford, as a leading national business events venue, attracts over a quarter of a million visitors every year. The car park design is based around a series of 16m clear spans, which is said to maximise space and improve access. In addition, it features “smart glass” technology enabling the outside of the building to change colour.